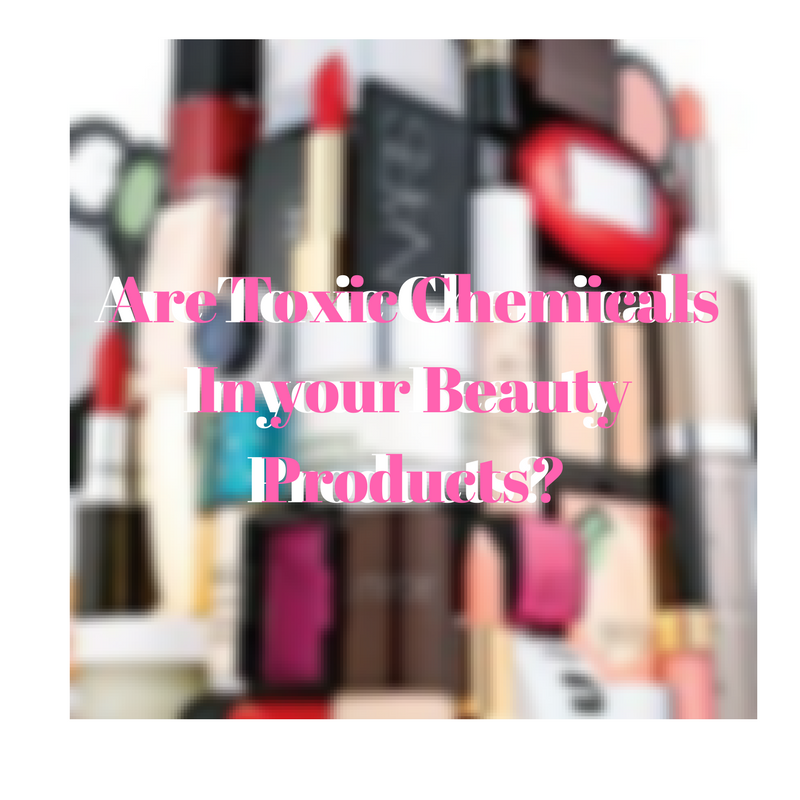 Beauty Under 10 | Beauty should only take 10 minutes Are Toxic Chemicals In your Beauty Products? Are Toxic Chemicals In your Beauty Products? I would look at the labels of lotions, shampoos, mascaras, even cleaning products and wondered what were all of those scientific words and if they were good for me to be around. After I started using more “natural” products, I still had to wonder what some of the ingredients were. Even though most ingredients were obvious, there were some “scientific” items listed on the bottom. I would recognize some ingredients listed but what about the others? Here is a list of common ingredients in beauty products and what they are used for. Glycerin - skin moisturizing agent, natural byproduct of soap making process (often used with vegetable and animal fat). Petrolatum - commonly known as petroleum jelly, is a byproduct of petroleum. Petrolatum is a soft paraffin or wax mixture sold as a topical skin ointment. It is an over-the-counter skin protectant and is used in the manufacturing of cosmetic skin care. Cetyl Alcohol - a long chain fatty alcohol, used in the cosmetic industry as an emollient, emulsifier or thickening agent in the manufacture of skin creams and lotions. It is also employed as a lubricant for nuts and bolts, and is the active ingredient in some "liquid pool covers" (forming a surface layer to reduce evaporation and retain heat). Cetearyl Alcohol - is a mixture of fatty alcohols, consisting predominantly of cetyl and stearyl alcohols and is classified as a fatty alcohol. It is used as an emulsion stabilizer, opacifying agent, and foam boosting surfactant, as well as an aqueous and nonaqueous viscosity-increasing agent. It imparts an emollient feel to the skin and can be used in water-in-oil emulsions, oil-in-water emulsions, and anhydrous formulations. It is commonly used in hair conditioners and other hair products. Fragrance (Parfum) - is a mixture of fragrant essential oils or aroma compounds, fixatives and solvents - used to give the human body, animals, food, objects, and living-spaces "a pleasant scent". Although some companies use fragrance mixed with benzene derivatives, aldehydes, phthalates, and a slew of other known toxins that are capable of causing cancer, birth defects, nervous-system disorders and allergies—some of which are cited on the EPA's hazardous waste list. Dimethicone - is technically called a silicone-based polymer. Basically it’s a silicone oil with certain properties that make it extremely popular in skincare products. Prolonged exposure can increase skin irritation and create a dependency on the product. Just like petroleum jelly, dimethicone can actually end up drying your skin the more you use it, as it interferes with the natural hydrating processes, making fine lines and wrinkles more noticeable. Ceteareth - are liquids to waxy solids and help to form emulsions by reducing the surface tension of the substances to be emulsified. It is also used to decrease the thickness of liquid cosmetics and personal care products. It helps other ingredients to dissolve in a solvent in which they would not normally dissolve. It cleans the skin and hair by helping water to mix with oil and dirt so that these substances can be rinsed away. Shea butter – is a vegetable fat from fruit of an African tree. Jojoba oil – is an oil extracted from seeds of a desert shrub native to California, Arizona, and Mexico. Tocopheryl Acetate – a common vitamin supplement that combines Vitamin E with acetic acid. It is often used in dermatological products such as skin creams. It is not oxidized and can penetrate through the skin to the living cells, about 5% is converted to free tocopherol and provides beneficial antioxidant effects. It is used as an alternative to tocopherol itself providing a less acidic product with a longer shelf life. It is believed that the acetate is slowly hydrolyzed once it is absorbed into the skin, regenerating tocopherol and providing protection against the sun's ultraviolet rays. Isododecan - an emollient and is often added to beauty products to help make your skin feel smooth and comfortable. Neopentyl Glycol Diheptanoate - skin conditioning agent and thickener. It is used in the synthesis of polyesters, paints, lubricants, and plasticizers. Carbomer – a group of synthetic texture enhancers used primarily to create gel-like formulations. High amounts of carbomer in a gel may result in the product rolling or balling up of cosmetic products on skin. Sodium Hydroxide – is a white crystalline odorless solid that absorbs moisture from the air. It is a manufactured substance. It is very corrosive. It is generally used as a solid or a 50% solution. Other common names include caustic soda and lye. Sodium hydroxide is used to manufacture soaps, rayon, paper, explosives, dyestuffs, and petroleum products. It is also used in processing cotton fabric, laundering and bleaching, metal cleaning and processing, oxide coating, electroplating, and electrolytic extracting. It is commonly present in commercial drain and oven cleaners. Disodium EDTA - primarily works as a preservative, chelator and stabilizer, but has also been shown to enhance the foaming and cleaning capabilities of a cosmetic solution. As a metal chelator, it counteracts the adverse effects of hard water by binding with heavy metal ions contained in tap water, which in turn prevents the metals from being deposited onto the skin, hair and scalp. This makes it a particularly useful ingredient for rinse-off products that inherently require water to come into contact with the skin. Essentially, this ingredient deactivates the metal ions through bonding with them, which inturn prevents cosmetic products from deteriorating, maintains its clarity and prevents it from smelling rancid. You can find this ingredient in virtually every personal care product including facial moisturizer/lotion, sunscreen, anti-aging treatment, cleanser, shampoo/conditioner, hair dye, body wash and eye cream. Tetrasodium EDTA - a water-soluble ingredient used as a chelating agent in cosmetics and personal care products because of its ability to sequester metal ions and allow them to remain in formulas but lose their ability to react with other ingredients. This ability allows it to not only soften water, but preserve formulas as well by improving its stability when it is exposed to air and prevent microbial growth. BHT - BHA (butylated hydroxyanisole) and BHT (butylated hydroxytoluene) are closely related synthetic antioxidants used as preservatives in lipsticks and moisturizers, among other cosmetics. They are also widely used as food preservatives. Diazolidinyl Urea - is an antimicrobial preservative that works by forming formaldehyde in cosmetic products. People exposed to such formaldehyde-releasing ingredients may develop a formaldehyde allergy or an allergy to the ingredient itself. Approximately 20% of cosmetics and personal care products contain a formaldehyde-releaser and the frequency of contact allergy to these ingredients is much higher among North Americans compared to studies in Europe. Methylparaben - is in the paraben family of preservatives used by the food, pharmaceutical, and personal care product industries. Parabens mimic estrogen and can act as potential hormone (endocrine) system disruptors. Benzyl Alcohol - solvent and preservative, associated with immunotoxicity and contact allergies, toxic when used around mouth or airborne. Propylparaben - occurs as a natural substance found in many plants and some insects, although it is manufactured synthetically for use in cosmetics, pharmaceuticals and foods, according to Wikipedia. It is used as a preservative for its anti-fungal and anti-microbial properties to extend the shelf life of beauty and cosmetic products. It is considered non-toxic, non-sensitizing and non-irritating at .05 to 1% concentrations. Benzyl Salicylate - is a clear colorless liquid with a sweet floral aroma. In cosmetics and personal care products, it is used in the formulation of bath products, bubble baths, cleansing products, hair care products, makeup, moisturizers, perfumes and colognes, shampoos, skin care products and suntan products. Butylphenyl Methylpropional – is a Synthetic fragrance ingredient with a strong floral scent. Also goes by the name 2-(4-tert-Butylbenzyl) propionaldehyde or lilial. Its use in cosmetics is restricted due to concerns over sensitivity. Citral - is found in apricot, occurs in lemon grass oil, lemon, orange and many other essential oils. It has been shown to exhibit anti-microbial function. Citronellol - naturally occurring scent found in geranium, rose and lemongrass. Limonene - is a scent ingredient and solvent naturally ocurring in the rind of citrus fruit. Upon storage and exposure to sunlight and air, limonene degrades to various oxidation products which act as skin and respiratory irritants and sensitizers. Some ingredients may be harmful and some may not. Did this list surprise you? Have you seen these chemicals on your lotion label? Please, tell me about it in the comments! **Most Information was found on EWG’s Skin Deep Cosmetic Database.